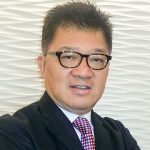 Joachim Chu is the former Senior Vice President of PCCW since 2000 and currently, he is the owner & CEO of Crystal Mars Limited, a private investment firm & portfolio management firm. PCCW is a publicly listed company on the Stock Exchange of Hong Kong and with an ADR listing on the New York Stock Exchange with businesses range from telecommunication and mobile phone operator, internet TV, news channel and properties development. Joachim has been instrumental in developing directional & corporate strategies that involved implementation of “Change” management in various stages of corporate re-structuring programs to bring the company to what it is today, he had worked with Chairman of the Board Mr.Richard Li. Prior to joining PCCW, Joachim was the Regional head & Vice President of Philips Consumer Electronics, in Asia Pacific, Middle East & Africa region. Prior to this, Joachim was the Senior Vice President of Philips Lighting China & Hong Kong responsible for the business, industrial & commercial, he was instrumental in establishing several successful joint ventures for Philips Lighting & technology transfer of telecom in China. He had worked in Philips Electronics for nearly 13 years in various capacities. From early 80’s to 1989, Joachim was director of Marketing & Operations in PepsiCola Inc. responsible for franchise business, marketing and sales of several bottling plants in China. He was also instrumental in developing new businesses through establishing joint ventures, were at the time, strategic milestones development for the PepsiCola International and Kentucky Chicken in China.